As you probably know, we held a competition to find a name for our forest school area. We had some brilliant suggestions but, after a lot of deliberation, decided on the name Parsons Wood. 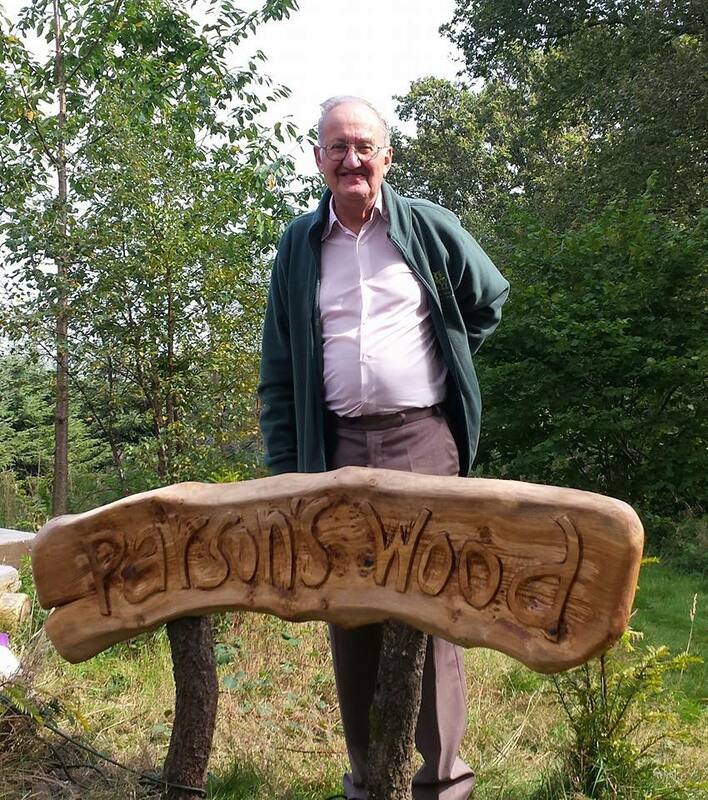 The reason we named it this is to honour David Parsons, a man who has been part of the woodland since before its inception. When we first came together to do something about the woodland, we were six interested locals and David Parsons, who is a professional forester and was also the agent for the previous owner. David was happy to become a director and it was he who found us an organisation which was willing to give us a grant to carry out the work we felt needed to be done, made valuable suggestions as to what was feasible and then had the contacts and know how to actually get the work done. In short, without him, the woodland would be nowhere near the healthy state it is in today. Two incidents demonstrate the measure of the man. Initially, we were given £2000 to produce a management plan. David with all his experience was the obvious choice to do it so he provided a template which we use to this day. His fee, a fairly derisory one for the work entailed, he donated back to the woodland, despite this being his profession. Secondly, when the felling of the larch precluded its use by the enterprise, he kindly donated a large amount of timber from his own woodland for the enterprise to use as they saw fit. So we are pleased and proud to name our forest school area Parsons Wood and hope you agree this is a good idea.